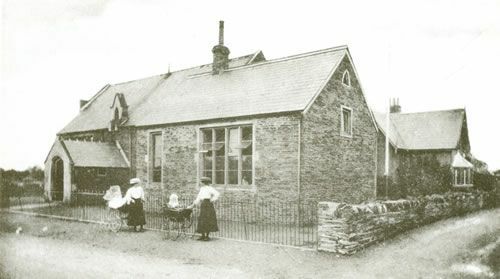 The school was built in 1850 at a cost of £375 and was known as Yate British School. The first headmaster was Mr Jacob Heglar. In 1879, it gained the status of public elementary school and received grants from the government. 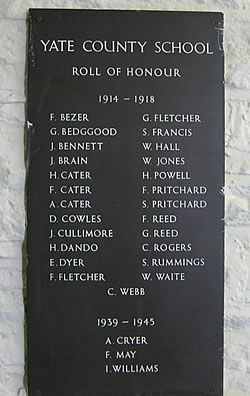 Mr William Parkinson was then the headmaster, assisted by James Iles, aged 16, who was monitor of standard 1, Winifred Willis, monitress who taught the infants, and the seamstress, Mrs James Reed. When the nearby colliery closed in 1888, many of the families moved to South Wales. To help these people sacks of bread, coal and clothing were handed out at the school, the money coming from an unknown source. The attendance of the pupils appears to have been very erratic, being influenced by the weather, Chipping Sodbury market, haymaking, potato picking, blackberry and hip collecting or illness. The registers were checked weekly by Mr Thomas Lawrence and prize money distributed by the Revd Pontifex to those who attended regularly. 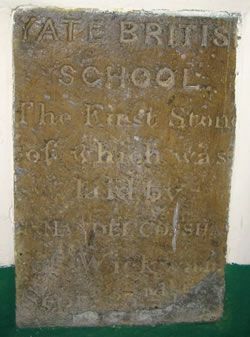 In the 1950s a new secondary school was established in Chipping Sodbury and North Road School became known as Yate County Primary, no longer taking children over 11 years old. The log books and more historical information on the school can now be found at Gloucestershire Archive department.